You excited? You should be. 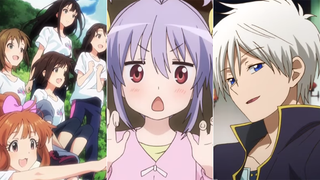 Because the summer 2015 anime season is coming. And if you don’t have any idea of what to look forward to, perhaps the results of this Japanese poll can help. Perhaps not! Biglobe News reports that Charapedia, which looks at the appeal of anime characters, polled 23,000 thousand people via its Facebook page about which anime they were looking forward to most. The breakdown was 56.2 percent men and 45.8 percent women. Around 76 percent were in their teens and twenties. The rest were thirty and up.